Which functional kitchen lacks a good non-stick pan? Any home cook can benefit from having a non-stick pan. What sets these pans apart is how easier they are to clean compared to traditional pans. Just like what its name suggests, food won’t stick to its surface, making way for easier cleanup. Non-stick pans are not created equal. The last thing you would want to do is waste money on a non-stick pan with poor quality and one that might even cause health problems because the non-stick coating flakes off easily. 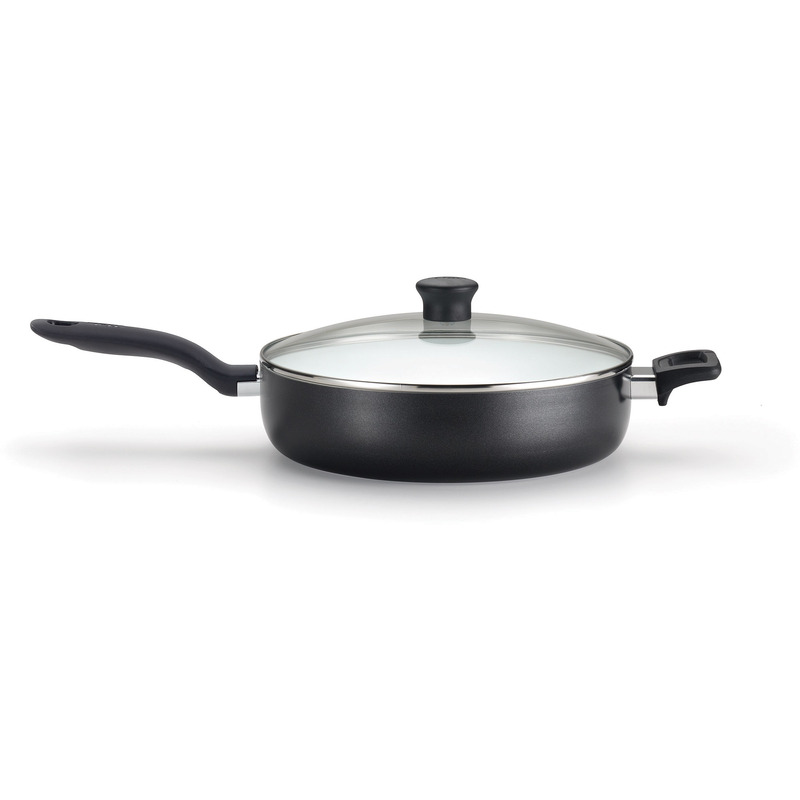 The original, Teflon pan has improved remarkably in safety and durability. Pans are now made with different coatings to make them better heat conductors. They are also now more durable than before. Depending on your price range, you can even buy pans with diamonds bonded to the PTFE. Teflon never had an issue with safety and dependability, especially if you are getting the original one. 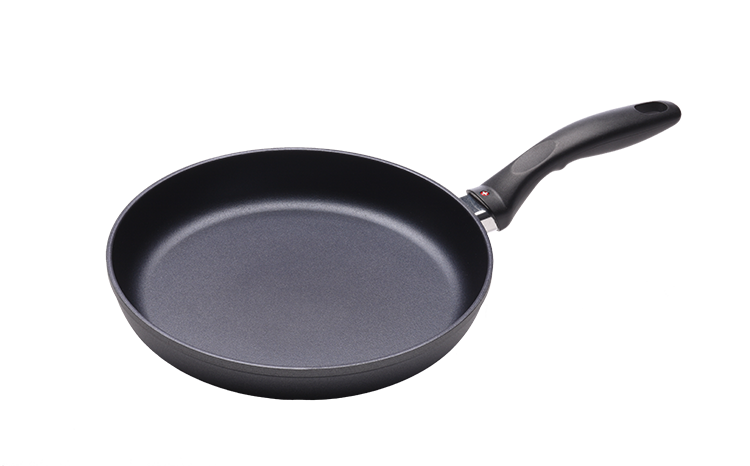 When getting Teflon non-stick pans, check out those that are free from PFOA as they are devoid of chemical components that can potentially make you sick. 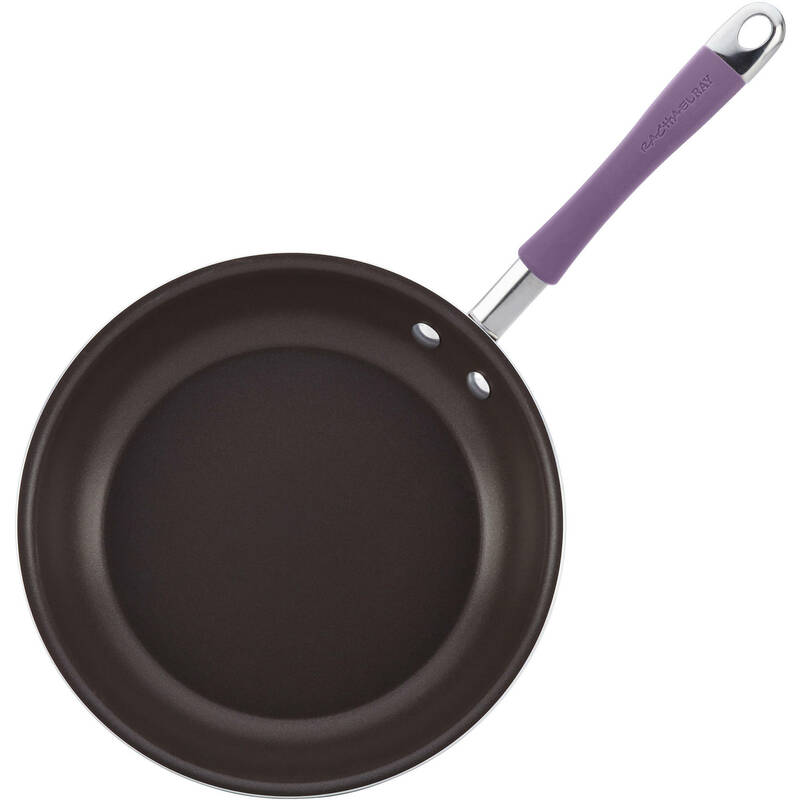 The porcelain-enamel category for non-stick pans is good for you not only because of its non-stick properties but its ability to prevent the need for more oils when cooking with it. Everything just glides on its surface, even delicate foods. It can be fragile but unless you are the type of person who often breaks things in the kitchen, you shouldn’t have issues using this. Think of ceramic pans as “it” cooking pans. They are highly coveted not just because of their non-stick properties but also because of their look. If you want to make your kitchen look like a professional’s kitchen, having ceramic pans is important. This material conducts heat effectively, so you shouldn’t have problems cooking any kind of food on its surface. Just make sure you give it some love and attention to prevent the material from going brittle over time. One of the first alternatives to the DuPont classic non-stick brand was released by Calphalon in the late 1960s. It is made by treating aluminum hydro electrically. There is no PTFE in the coating. The surface is scratch resistant, and the pan is light and durable. 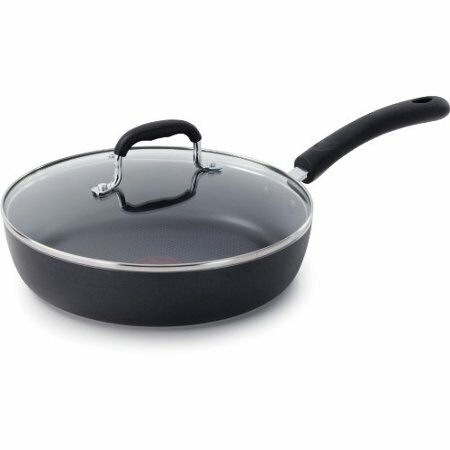 Overall, this type of pan is useful for cooking a number of things, but it may lag behind other similar non-stick pans when it comes to non-stick properties. When it comes to determining what to get, it’s important to carefully assess your cooking needs and preferences. What might work for others might not work for you. It’s about individual needs. This model that boasts of classic non-stick technology is one of the most popular models used in kitchens around the world. The non-stick interior is tough enough for T-fal to say it is safe to use metal utensils. The pan itself is a little heavy, giving this a stable and secure feel to it. There is added technology in the form of T-fal's Thermo-spot indicator. This special technology allows users to know when the pan is preheated for cooking, so it is going to be a big help for casual cooks. There’s very little to complain about this product. It has managed to stand the test of time and even with frequent uses, it did not deteriorate as fast as other similar pans. It has high sides, which is good when cooking more quantities of food. The pan is safe for up to 450 degrees Fahrenheit temperature, which is higher than any pan of a similar caliber. The bottom of the pan is not flat, which might deter you from cooking food like eggs. You can’t go wrong with this ceramic non-stick pan, which is touted as one of the best in its niche. Its size is its best feature, allowing home cooks to load this up with more ingredients without worrying that ingredients will spill out. If you often cook big portions of meals for your medium to large-sized family, you will definitely find this a good buy. It’s also great for meal-prepping purposes so you can cook one-pot meals without making them in batches. It is easy to clean. Even if dried-up bits get stuck on its surface, you shouldn’t have any issues getting rid of them. It is a versatile pan that allows you to cook an assortment of dishes. It conducts heat efficiently, preventing you from having uneven cooking spots. Even if you cook pigmented sauces, the pan won’t discolor or get stained easily. Some people might find its temperature limitations not ideal for cooking. If you like a pan that you can stick in your oven after sautéing ingredients on the stovetop, this is probably not the ideal pan for you. Calphalon has a good reputation when it comes to making non-stick pans, particularly anodized pans. True to its promises, this pan really does hold up well even against some level of abuse. It is very durable, thanks to its three layers of materials. You can cook a variety of dishes, making this a staple in your cooking equipment. This pan distributes heat evenly. The pain is thick and not too light, ideal for cooking on slippery stovetops, so it doesn’t move around a lot. The handles feel sturdy. You can shake the pan or do some professional maneuvers without worrying that the handle will give out. It really has superb non-stick features. You can cook anything without worrying that the food will get stuck on the pan. Some people might find this pan a little too heavy for their preferences. It is quite an expensive pan, not ideal for those on a tight budget. It’s exciting to get something from the famous Rachael Ray. She’s practically a household name when it comes to making delicious meals. You, too, can make delicious meals in 30 minutes or less with this nifty pan from her cookware line. The porcelain enamel doesn’t disappoint with its durability. It’s quite thick and can be used for a variety of cooking needs. It is also easy to clean and doesn’t have toxic components that can get in the food you are cooking. These pans heat evenly as advertised. The food slides around quite easily with very little fat required. These non-stick pans are quite affordable given how good their quality is. It is worth getting an entire set and swapping out all your other traditional pans. The rubberized handles do not deteriorate, even when you put the pan in the oven. You don’t need to get an oven-friendly dish to transfer your food because this one can withstand higher heat, great for finishing cooking in the oven. They come in a myriad of attractive colors, and my teal set is as aesthetically pleasing as they are functional. Some might find the size too limited for their personal cooking needs. Make sure you use the right cooking utensils, otherwise you will end up scratching the surface. Swiss Diamond is the brand known for bonding diamonds with PTFE to reinforce the durability of the pan. As a pioneer in non-stick technology, you can’t really go wrong with whatever Swiss Diamond churns out including this particular model of frying pan. It’s a great value for your money if you are looking for something durable. The base is completely flat, so it balances well on any type of stove for even cooking. I have used a slightly damp rag to clean this while cooking eggs and omelets. Cleanup for this pan might be the easiest out of all the pans. It is a great energy saver because high heat is not necessary. The handle is as durable as cast iron, which is great because it has an easy, flexible grip, and the pan is approved for heating up to 400 degrees Fahrenheit. It does its work in distributing heat evenly on its surface so you can cook any food you want without constantly worrying it will stick. The price might deter some people from buying this. When buying, make sure you identify the right technology that suits your needs better. If you hate doing a lot of cleanup later, you are better off with technologies that allow crumbs, grease and food residues to get wiped away easily. Technologies like Teflon and Ceramic can certainly offer that to you although most non-stick pans have that feature. Take size into consideration as well. If you like to cook for a lot of people or you want to fit all your ingredients in one pot to save you some cooking time, you should look for a bigger and more substantial pan. Also, make sure you think about the compatibility of the pot to your stovetop. If you have a glass stove top, frying pans with a slippery bottom might easily move around. The same is true with gas stovetops. Check the grip of the bottom of the pan to make sure it stays in place. Weight is also an important factor to consider. Heavier pans are better because they provide more stability. So, which of these products are the best options for your cooking needs? After all, you can’t buy everything recommended here, right? Rachel Ray’s Cucina Hard Porcelain Enamel Nonstick Skillet is an easy choice to make if aesthetics is important to you. It comes in different striking colors such as agave blue that will truly make it stand out in your kitchen. If you want to feel excited while cooking because your cookware is not only functional but also pretty, this is a great buy. If you don’t fancy repeatedly buying non-stick pans because they just keep getting damaged, spring for the Swiss Diamond nonstick fry pan. It’s a little bit more expensive than your average pan but its construction and durability more than makeup for its lofty price. Avid home cooks will surely want to add this to their kitchen cooking collection. You can cook different kinds of meals with it. Do you want a non-stick pan with grilling functions at the same time? Get the Calphalon Hard-Anodized Non-stick Cookware. You can grill vegetables on its surface and get that gorgeous grill mark on your food. This is a multi-purpose cooking tool ideal for those who do not like to buy different kinds of cookware because of a tight budget or due to their limited storage space. T-Fal’s Ceramic Coated Non-Stick pan is perfect not just for frying but also for cooking a variety of meals. Because it is deeper, it tends to have more space for ingredients. Get this if you often cook bigger meal portions. For anyone looking for in the best non stick pan, we highly suggest you check out T-fal's C92182 Initiatives Nonstick Ceramic as it allows you to cook different dishes without worrying about ingredients sticking to the pan and burning. 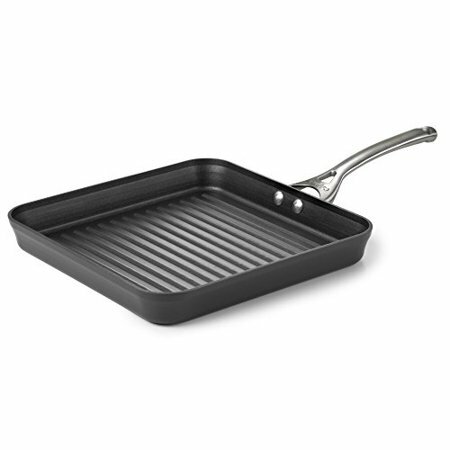 From the same brand, their thermo-spot heat indicator fry pan is ideal for all sorts of frying needs. It is inexpensive, so you won’t have issues getting this if you are on a tight budget. 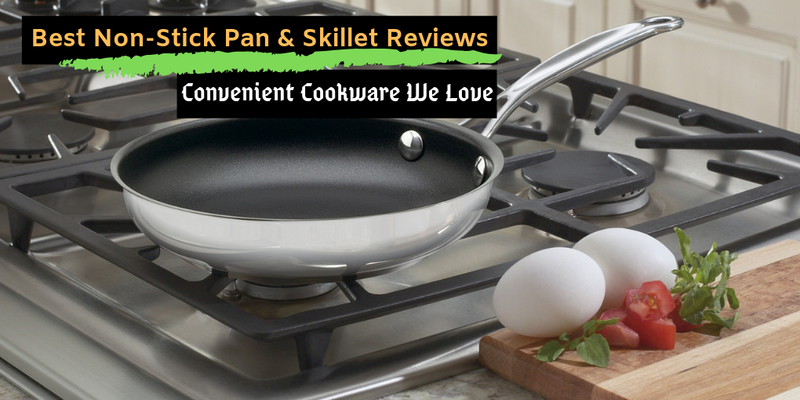 We know you probably need to buy other cookware sets aside from a frying pan so make sure you check out our homepage for recommendations. Find out what products are worth buying and which ones will last you a long time.